Confused by the differences between Graco’s rear facing only seats? You’re not alone. Graco recently changed the names of their rear facing only seats and added 4 new models.Their current models are the SnugRide Classic Connect (original 22 lb version), SnugRide Classic Connect 30, SnugRide Classic Connect 35, SnugRide Click Connect 30, SnugRide Click Connect 35, SnugRide Click Connect 35 LX, and SnugRide Click Connect 40. Graco has discontinued the Classic Connect versions of all their rear facing only seats. The fit varies from seat to seat, so I was able to try Jo and Fiona, our Huggable Images dolls, in each seat. The only seat that I didn’t check Jo’s fit in was the SnugRide Classic Connect (22 lb version) due to the minimum weight being 5 lbs, not 4 as the others. The SnugRide Classic Connect is the same as the original Snugride (22 lb limit). As with the original, newborns tend not to fit well. When rear facing the harness should come from under or at the child’s shoulders. As you can see here, the straps are still above Fiona’s shoulders. The SnugRide Classic Connect 30 had an amazing fit with Jo. The crotch strap closest to her was actually under her a bit. All the other seats were either right at her diaper or forward of it. Fiona fit very well in this seat as well. Harness was below each dolls’ shoulders. The SnugRide Classic Connect 35 was an okay fit for both dolls. The harness straps were right at their shoulders. This seat also includes an insert that wraps around behind the crotch buckle, so it helps to take up some space between the buckle and the doll’s diaper. The insert MUST be used for infants between 4-5 lbs. I removed it for Fiona and her fit was still very average. Jo and Fiona both had a very nice fit in the SnugRide Click Connect 30. There was a bit of room behind the crotch strap with Jo, but that can be easily solved with a rolled washcloth between the crotch strap and her diaper. The harness straps were just below each dolls’ shoulders. The SnugRide Click Connect 30 and 35 have the same shell and harness placement so both fit the dolls well. The SnugRide Click Connect 35LX and 40 share the same shell and harness, so the fit will be the same for both. Jo and Fiona are in the Click Connect 40 in these photos. This was the best fit for both dolls out of all of the seats. The padding added just enough for their whole bodies to be supported and the harness was slightly below each of their shoulders. There was also no extra room between the crotch strap and diaper on both. Each seat has a different base, but some are interchangeable. Out of the three original bases, only the Classic Connect 30 seat can be used on either the Classic Connect 30 base or the Classic Connect 35 base. No other original seats/bases are interchangeable. The two Click Connect Bases can be used interchangeably between all the Click Connect seats. The only restriction is that consumers need to adhere to the height and weight requirements for the seat as stated in their owner’s manual; however, the SnugRide Click Connect 40 seat is restricted to a height limit of 32 inches when used with a SnugRide Click Connect 30, 35 or 35LX base. The metal connectors of the Classic Connect and the Click Connect are different as well. The Classic Connects have the clips on the inside of the seat and clip from the bottom. The clips on the Click Connects are on the top of the base and clip from the top. If you prefer to have a seat belt lock off, the only bases with lock offs are the Classic Connect 35, Click Connect 35 LX, and Click Connect 40 bases. The Classic Connect 22 and 35 have level indicators on the actual seat, not on the base. The Classic Connect 30, Click Connect 30/35, and Click Connect 40 have level indicators on the base with a level to ground line on the side of the seat for baseless installs. As you can see, the level indicator on the Click Connect bases have an age range due to the fact that older babies can typically be a bit more upright. Which brings us to the new feature on the base of the Click Connect 40. This base has an eight level adjustable recline, to help the recline on the vehicle seat and the recline of the infant/toddler in the seat. Graco has expanded their buckle recall to include their rear facing only seats. Learn more about the recall here. Graco has done a great job of releasing several rear facing only seats that will fit pretty much any size infant out there and will last quite awhile as well. 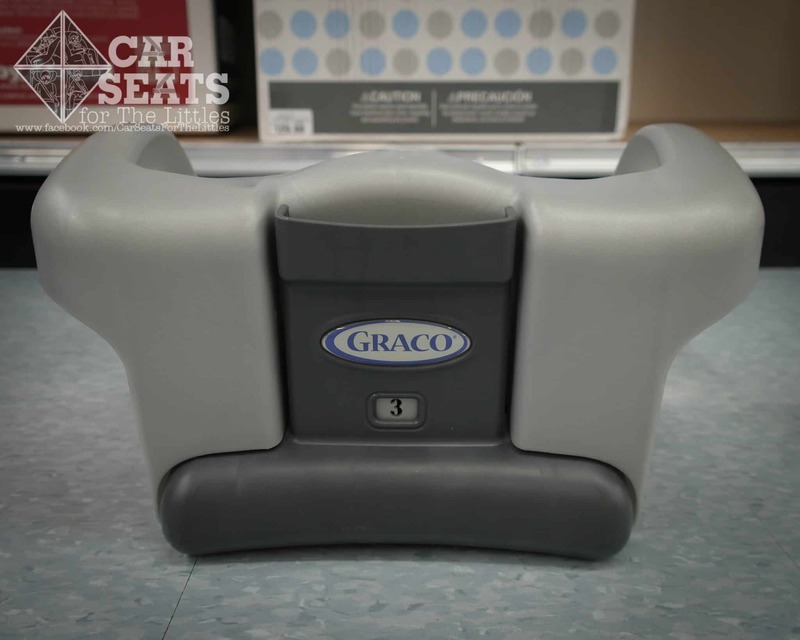 This guide should help with finding the best Graco rear facing only seat for your child. Check out all of the Graco Snugride seats on Amazon.